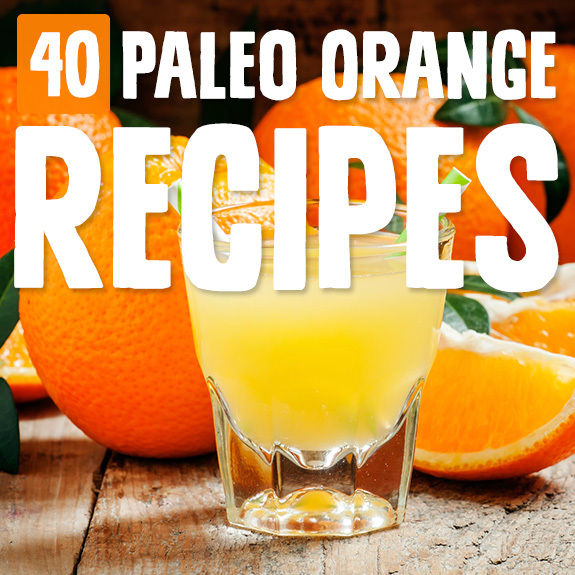 Oranges are in season where I live as I’m writing this, and I’ve been loving getting them from my favorite Farmer’s Market stand, which I lovingly refer to as “citrus guy.” Even if you don’t have your own citrus guy, you can enjoy some of these paleo orange recipes! 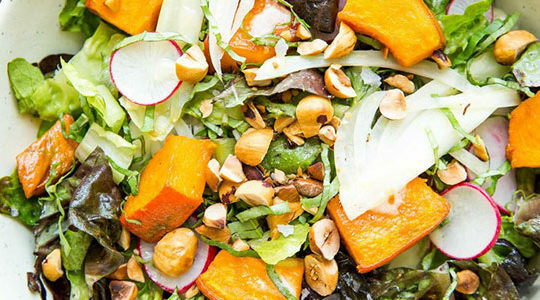 Orange is a fabulous fruit for salads, including vegetable-based salads! This simple salad is made with kale, olive oil, lime, tomatoes, and sea salt with an orange shredded chicken flavored with honey, orange and line, mixed herbs, and chili powder for a little kick. Real food-based truffles are one of my favorite little treats to make, because they have several base ingredients that work with tons of different flavors. This one is made with cashews, shredded coconut, medjool dates, orange, coconut oil, cardamom, and sea salt. Avocado and citrus are lovely together, because the rich creaminess of avocado is the perfect complement to bright and spunky citrus. This salad uses oranges as well as grapefruit, kale, romaine, red onion, wild shrimp, and a smoke dressing made with red wine vinegar, smoked paprika, honey, and garlic. Green smoothies are my ultimate favorite way to get greens into my body, because if I’m honest, I’m not a huge salad eater. This is one of my favaorite smoothies with orange, banana, avocado, spinach or kale, coconut milk, pineapple, and avocado. I leave out the essential oil because many believe it isn’t safe for internal use. This seared salmon is glazed in a delicious orange sauce with garlic, fresh rosemary, orange and lemon juice, chicken stock (bone broth is the most nourishing choice! ), orange zest, and a little tapioca starch for thickening. These melt-in-your-mouth tasty caramel tarts are made with a base of nuts, coconut flour, raw honey or maple syrup, and coconut oil. They’re filled with a homemade coconut vanilla caramel and topped with a chocolate orange ganache made with cashew butter. Sounds amazing, right? Orange and cranberry are a classic flavor combination, and they work beautifully in these muffins made with almond flour or sunflower seed flour, as a nut-free option. The almond extract really takes the flavor of these muffins to the next level! Use coconut sugar in place of the cane sugar in the topping. 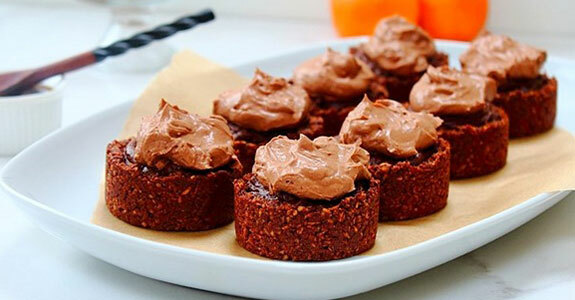 These copycat Nakd snack bites have a delicious chocolate orange flavor and only a few ingredients are needed to pull them off. 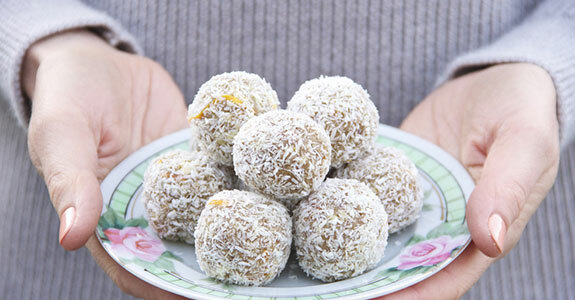 Make them yourself with raw cashews, medjool dates, raisins, cocoa powder, and the zest of one orange. 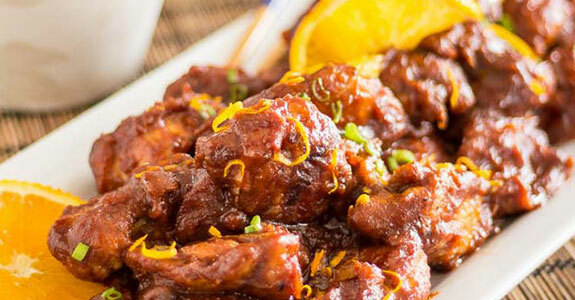 Orange honey chicken is my favorite way to eat chicken, and it’s even better if I can make it in one dish and minimize the time I spent cleaning dishes afterwards. This bird is roasted with a bit of honey, balsamic vinegar, garlic, and a whole orange cut into sections. 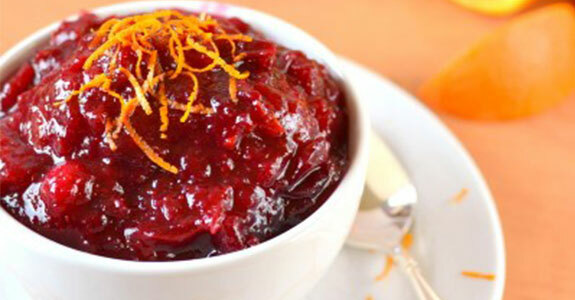 Who says you have to wait until Thanksgiving to enjoy real, homemade cranberry sauce? Nobody—that’s who! I love cranberry sauce all the time, and this one is easy to make with a modest amount of honey to sweeten the fresh or frozen cranberries, and plenty of orange juice and zest. This truly Caribbean meal is one you won’t forget about any time soon. You’ll need to get your hands on some good jerk spice grilling paste, and you’ll also need ripe plantains, butter, garlic, orange juice and zest, line, coconut milk, shredded coconut, mango, kale, and more. 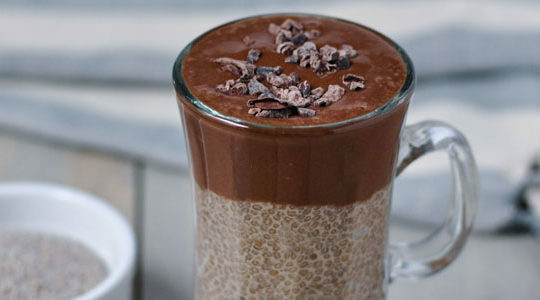 This delicious smoothie has a unique flavor that you’re going to love. It’s made with flaky sea salt and has a lovely strawberry orange flavor and a richness from the almond butter. This amazing protein matcha is perfect for enjoying hot, and you won’t even feel like you’re drinking something healthy! I recommend using the orange zest instead of the essential oil, because essential oils aren’t safe for internal use. These fabulous little scones are perfect for an occasional breakfast treat, snack, or even a dessert. 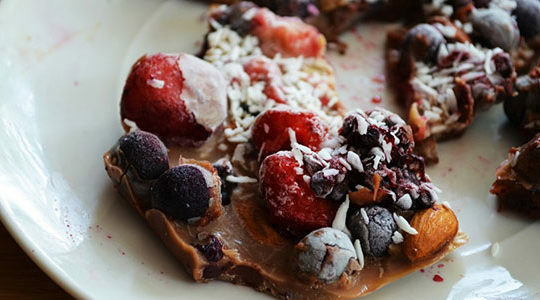 To make them, you’ll need almond and coconut flours, sea salt, maple sugar and maple syrup, eggs, vanilla extract, orange zest, and sweet dark cherries. This all-fruit smoothie has a fantastically fruity and sweet flavor, and is great as an afternoon pick-me-up or a treat on a hot summer day. It needs just three ingredients: frozen pineapple, frozen banana, and fresh peeled oranges. So yummy! 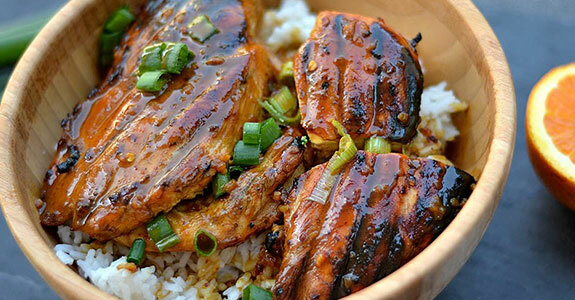 This glazed salmon has a tangy, sweet, and savory flavor all at once with fresh squeezed orange juice, maple syrup, balsamic vinegar, freshly grated ginger, and salt and pepper. It comes together in less than half an hour, so it makes a perfect weeknight meal with cauliflower rice. This is a unique flavor combination happening with savory, spicy fennel, sweet orange, and tangy sauerkraut. It’s best if you can use homemade sauerkraut or a high-quality lacto-fermented store-bought version. Drizzle with fresh orange juice and pepper. 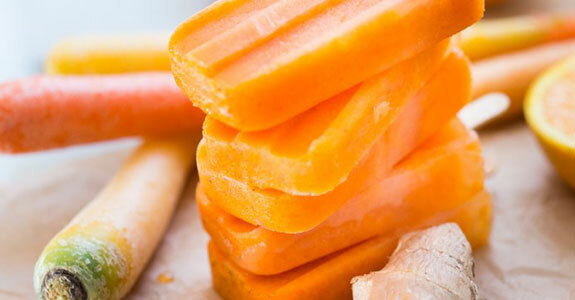 These restorative ice pops are perfect for hydration and for keeping cool on warm days. Make them with fresh orange juice, fresh carrot juice, ginger, and Turmeric Boost. If you don’t have the special Turmeric Boost, use regular powdered turmeric root. This easy orange chicken tastes even better than those mall samples workers at the food court always want you to try. It’s made with toasted sesame oil, orange zest and juice, coconut aminos, ginger, tomato poaste, honey, red pepper flakes, garlic powder, and some tapioca starch for crispiness. These skewers are marinated in orange juice and garlic and layered with salmon, bell pepper, eggplant, zucchini, red onion, cherry tomatoes, and pineapple or a fun rainbow effect. 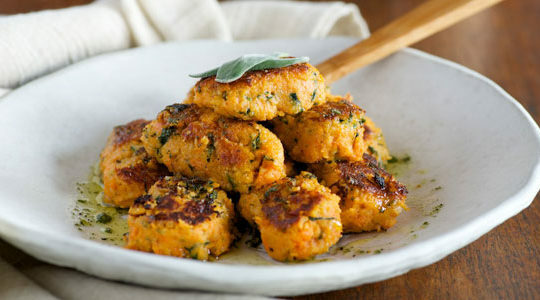 Make them on the grill for a fabulous summer dinner that’s a hit with both family and guests. Suitable for the AIP diet, this chicken is made with orange juice, coconut aminos, raw honey, garlic, arrowroot flour, chicken, a cooking fat of your choice, cassava flour, and gelatin “eggs.” These ingredients are richly nutritious and make an addictively good dish. This smoothie reminds me of those creamsicle ice pops I used to get at the local pool in the summer when I was a kid. 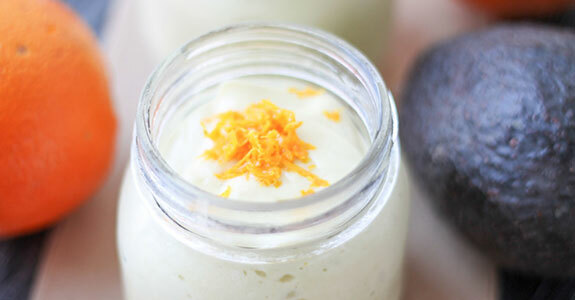 Except this is not only healthier, but it’s actually good for your body with creamy frozen bananas, fresh orange juice, avocado, and some orange zest to pump up the orange flavor. These chicken wings are glazed with a mixture of coconut aminos, diced ginger, blood orange juice, garlic, chili flakes, and raw honey. Blood oranges have a unique flavor with an almost floral note to it that makes them feel extra gourmet. Super delicious, too. This easy fruit-and-vegetable salad is made with a base of baby spinach topped with beets, blood oranges, mandarins, shallot, and pine nuts. The best part, in my opinion, is the citrus vinaigrette with champagne vinegar, orange juice, lemon juice, lemon zest, salt, pepper, and olive oil. This yummy fruity salsa is both sweet and spicy with fresh cherries, oranges, red onion, green bell pepper, jalapeno, salt, lime juice, and finely chopped cilantro. If, like me, you’re not a cilantro fan, try it with fresh basil or even fresh mint leaves for a fun flavor twist. This orange chicken has a saucy glaze that’s finger-licking good, and you can make in less than half an hour with fewer ingredients than you have fingers. Sound good? All you need is cocont aminos, honey, orange or orange juice, orange zest, garlic, crushed red pepper, curry powder, and chicken. I love sharing a few different recipes for a similar dish because it’s fascinating to see what different ingredients people use. This paleo orange chicken is made with honey, coconut aminos, chili flakes, fresh ginger, turmeric, garlic, tapioca starch, and cauliflower rice seasoned with garlic and sea salt. You can use avocado instead of grape seed oil, if you want. Chocolate and orange are great together, and chocolate and hazelnut are great together, so why not a chocolate hazelnut orange biscotti? 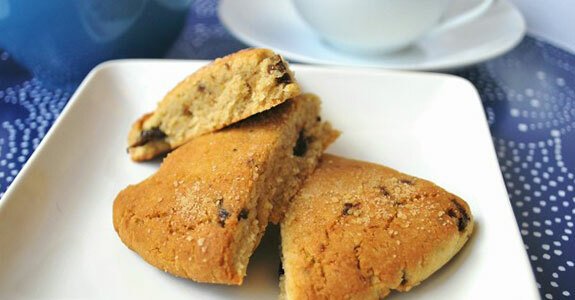 This fantastic cookie is easy to make with almond and arrowroot flours, orange juice and zest, hazelnuts, chocolate chips, and honey. This salad couldn’t be any more simple. All you need is leafy greens (your choice), bacon, asparagus, butter, clementines or oranges, slivered almonds, and optional parmesan cheese. The “sauce” is made with orange juice, balsamic vinegar, and maple syrup. So good! The best thing about this recipe is how crispy the chicken gets after a coating of seasoned tapioca starch. It’s a tricky to keep in mind for lots of other recipes, too! This dish has a sauce made with orange juice, date paste, rice vinegar, fish sauce, bird’s eye chili, and garlic. 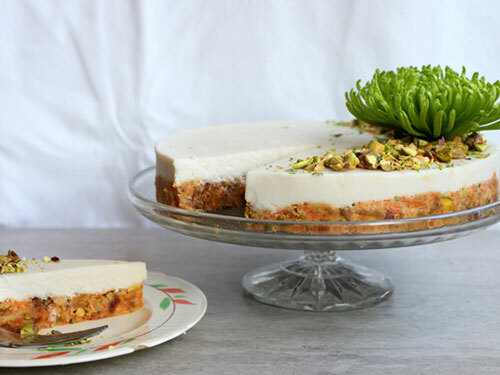 You’re going to love this orange cake made from orange, flaxseed meal or arrowroot, vanilla stevia, honey, coconut oil, eggs, and coconut flour. Top it off with homemade candied oranges using Valencia oranges, honey, and sea salt. They’re easy to make and so delicious. This smoothie may be super green, but it has a super orange flavor with a navel orange and a frozen banana for creaminess. You’ll use both kale and spinach in this smoothie. If you want an extra vitamin C boost, try adding a squeeze of lemon juice, too! With a dark chocolate almond crust sweetened with maple syrup and a rich, melty, silky chocolate orange filling, you’d think this would be tricky to make. But it’s super simple! The crust is baked and the filling is cooked and then poured into the crust, and then chilled until set. Easy! 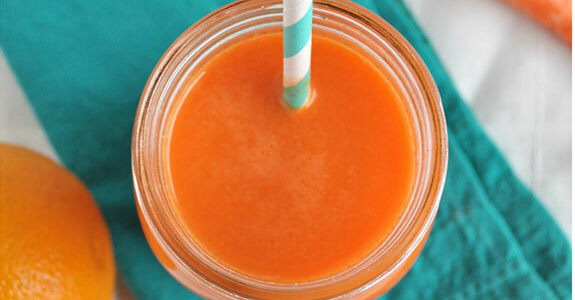 Orange is a great addition to veggie juices, because it helps make them sweet and delicious, so they’re kid-friendly (and picky adult friendly, too). 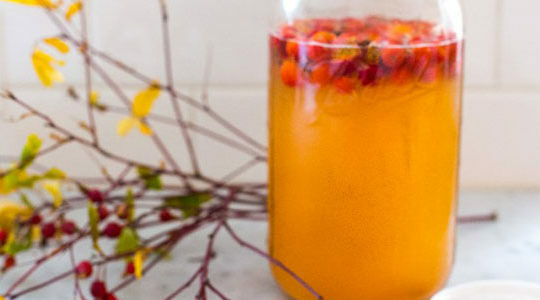 This easy juice just needs carrots, oranges, and a piece of fresh ginger. Drink within a few hours to get the nutrients. This sticky chicken is made with blood oranges, the most elegant of the orange family, and maple syrup, the most elegant (in my opinion) member of the unrefined sweetener family. Sherry vinegar, thyme, shallots, and wholegrain mustard add crazy-good flavors to this dish. I’m a huge fan of orange marmalade, but it’s almost impossible to find real-food versions in stores. Lucky for me and other marmalade lovers, it’s easy to make yourself! For this recipe, you’ll need oranges, Meyer lemons, honey, and water. That’s it! When it comes to chicken fingers, it’s really all about the sauce, isn’t it? This crispy baked chicken fingers have a delicious tahini sauce with garlic and chili powders, orange juice and zest, and coconut aminos (to replace the tamari). You can also had a bit of maple to sweeten. 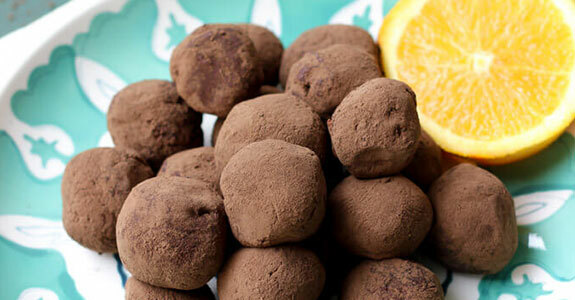 These boozy truffles are totally delicious…maybe more than they should be! You can make this adults-only dessert with full fat coconut milk, orange juice and zest, butter, dark chocolate, tequila blanco, and unsweetened cocoa powder for dusting. It’s not a secret by now that I have a weak spot for anything blood orange. I really love these beautifully rustic tarts made with applesauce, maple syrup, coconut flour, cinnamon, cacao powder, vanilla, basil leaves, and fresh blood orange slices with other fabulous ingredients. These fluffy pancakes have an awesome tropical flavor with orange zest, vanilla, coconut, and almond milk. Coconut flour and eggs form the base, making these pancakes a high-protein breakfast choice you can feel good about diving into.